As you may have noticed, my early albums, singles and EPs are not available via Bandcamp and are currently in the process of being removed from Spotify, iTunes, Deezer etc. 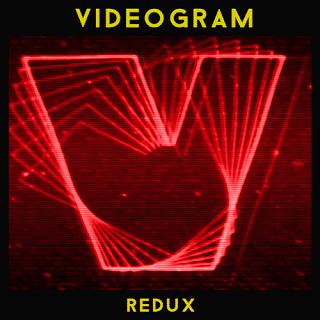 This is on account of this coming fall seeing the release of, among other things, the Videogram Redux series. The series will see the re-release of the early Videogram efforts, with every track remixed in hi-res 24-bit 44 kHz audio, professionally remastered for maximum oomph - in some rare occasions, small parts have been re-recorded - complete with bonus tracks culled from demos, unreleased tracks and outtakes - and presented with all-new artwork! - Videogram Redux. The original 2014 S/T 16-track album, complete with bonus tracks, including previously unreleased songs unearthed during the mixing sessions. - Slashed EP will replace the 2015 three-track Cobretti EP, adding several bonus tracks taken from a never-finalized slasher-themed EP. - Outpost 31 Redux will update the 2015 Outpost 31 Isn't Responding two-track single, adding several new John Carpenter's The Thing-themed bonus tracks that were never finalized during the sessions. The Charles Bronson (original mix), Camp Blood (2014 version), 2077: Raiders of the Apocalypse and Cobretti EP will be discontinued. Those that showed my project much-appreciated support early on need not worry. Their purchases will be honored and download codes will be available upon request. It's gonna be an exciting fall! Thank you.